Scam alert: If you receive a message on Facebook saying 'Hi....I actually got another friend request from you', it's a hoax. Well, another extremely irritating “Friend Request” hoax is now making the rounds on Facebook. Luckily, it’s very easy to avoid falling for this one. In short, this message is a hoax. The people sending it out didn’t really receive friend requests from the folks they’re forwarding it to. They’re sending it out to all their friends simply because the message tells them to forward it. Of course the people they forward the message to don’t realize it’s a hoax. They believe their accounts really are sending duplicate friend requests to their friends. The thing that makes this hoax so believable is we really do receive duplicate friend requests at times ever since the account cloning epidemic started up a while back. But that being said, the people who really do receive a duplicate friend request from you won’t send you the cookie-cutter hoax message I quoted above. They’ll send you a personal message or post something on your Timeline letting you know they received the duplicate friend request from you. By the way, if you’ll take a good look at the hoax message you’ll see that it contains a dead giveaway that it’s a hoax: The instruction to forward the message to your friends. You’ll notice that it doesn’t say something like “send the message to the people who sent you a duplicate friend request“. It simply says to forward it to “all the people you want to forward to“. Bottom line: If the message I quoted above lands in your Chat/IM inbox, simply delete it and forget about it because the entire message is a hoax. If you’re using Facebook in a web browser on a laptop or desktop computer, you can delete the hoax message by clicking the “gear” shaped icon on the right and then clicking either Delete or Delete Conversation (depending on which version of Facebook you’re using). If you’re using the Messenger app on a mobile device simply tap and hold your finger on the message until a menu pops up and then tap Delete. 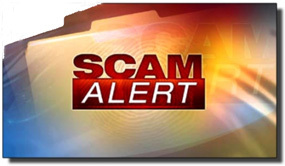 Bonus tip #1: Click here to read about several other hoaxes and scams that are making the rounds right now.